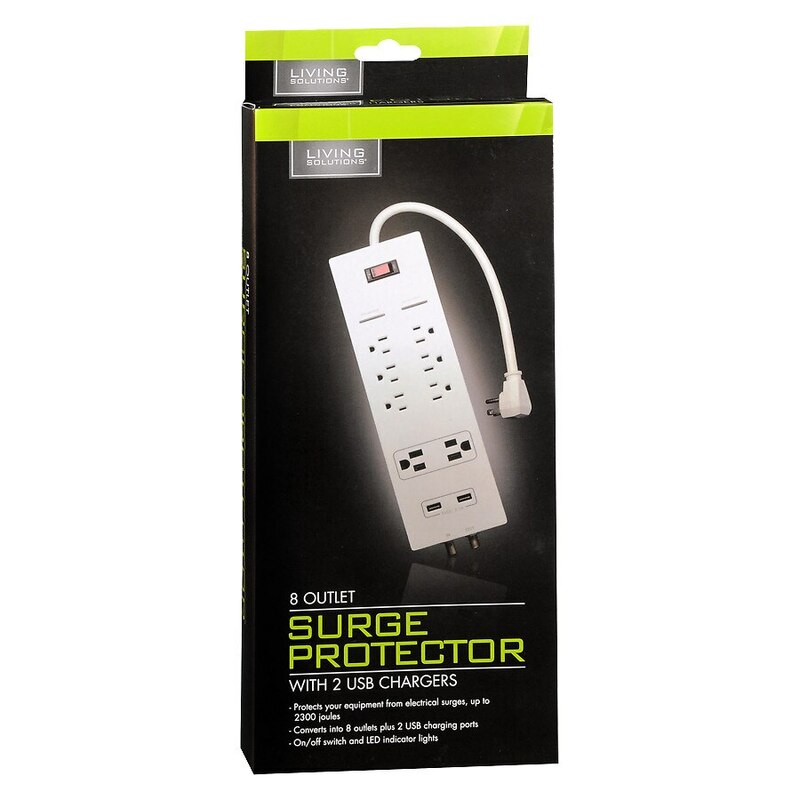 Protects your equipment from electrical surges, up to 2300 joules. Converts into 8 outlets plus 2 USB charging ports. 100% satisfaction guaranteed © 2014 Walgreen Co.
Risk of electrical shock. This product is not a toy and is not intended for use by children. For adult use only. Do not use if unit is damaged or wet. Do not use with extension cords. Match wide blade of plug with wide slot; fully insert. Use indoors only. RISK OF FIRE: Plug only in exposed wall outlets where cord is ventilated and cannot contact bed coverings or other material that might present a fire hazard.